Natural gas accounts for 30% of Ireland’s total primary energy requirements. 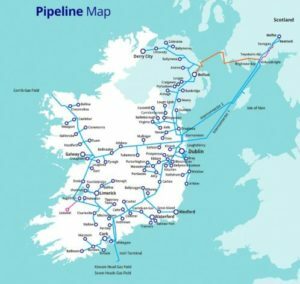 Natural gas also forms a critical part for Ireland’s electricity generation, with 52% of the country’s annual electricity produced from natural gas. Gas Networks Ireland, part of Ervia, own, operate, build and maintain the natural gas network in Ireland and connect all customers to the network. Their core purpose is to ensure that over 688,000 homes and businesses receive a safe, efficient and secure supply of natural gas, 24 hours a day, 365 days a year across their 14,172km pipeline network including interconnects to Scotland, Northern Ireland and the Isle of Man. (Source: Gas Networks Ireland). 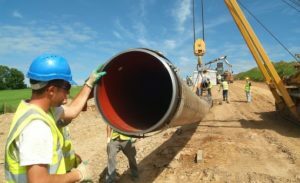 In line with the Commission for Regulation of Utilities policies, Gas Networks Jreland maintain, construct and extend the network to the highest international safety standards. 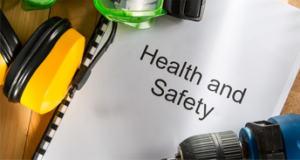 Gas Networks Ireland recognise that the measurement of health and safety performance is essential in determining the effectiveness of the existing health and safety management systems and in identifying where improvements are required. Gas Networks Ireland also recognise that its contractors and suppliers can have a considerable impact on the overall safety performance. Safety is a key consideration during the tendering and selection of contractors and suppliers for high risk works such as construction projects. (Source: Gas Networks Ireland). The challenge for Gas Networks Ireland is how best to control the management, supervision, auditing and inspection of maintenance activities and also high-risk work performed by contractors. 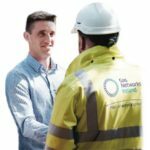 Chris Mee Group has being providing specialised health and safety management support to Gas Networks Ireland, formally Bord Gais Networks, for its natural Gas distribution network since 2004. This includes EHS Consultancy, specialised EHS training and also the provision of engineers and safety personnel. Chris Mee Group implemented a programme of EHS inspections of all Gas Networks Ireland transmission sites and construction projects nationwide. The audits cover maintenance activities on Gas Networks Ireland low, medium and high-pressure transmission sites as well as any construction projects. The Chris Mee Group inspection team work with the relevant Gas Networks Ireland Distribution/Transmission engineer in charge of the transmission site or with the contractor in charge of the construction project. Immediate issues of EHS concern are raised with on-site personnel and the inspection report documents are completed and forwarded to Gas Networks Ireland HSQE personnel. Both safety and environmental elements of the inspections use scoring mechanisms for benchmarking and trending purposes. The benefit to Gas Networks Ireland were efficiency, cost savings, improved regulatory compliance and better asset management. Site inspections were now carried out much more efficiently. The consistent format of all data also enabled accurate trend analysis of time / money spent on each asset. The solution also provided more transparency over contractors’ work carried out and also improved levels of regulatory compliance with updates as to when each asset is due for inspection. Chris Mee Group Utility Heath & Safety Consultancy.